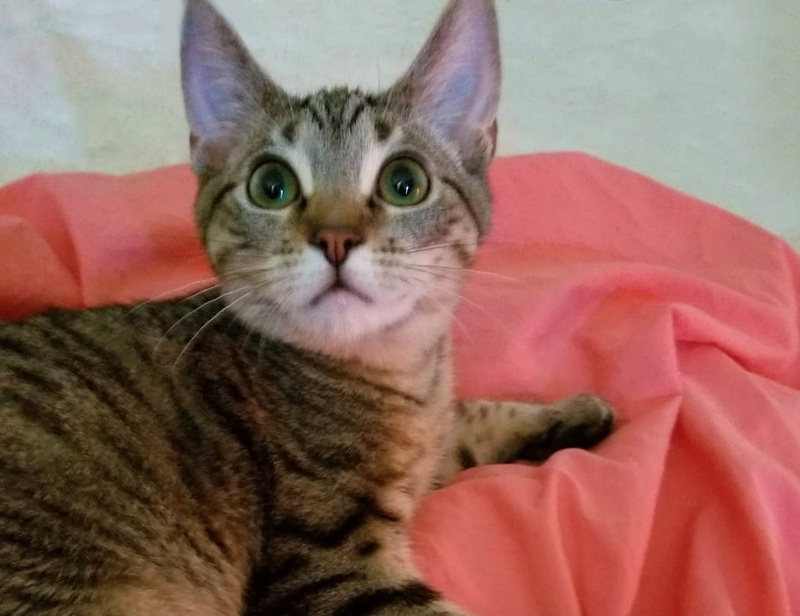 You are here: Home / Adopted Cats / Sherbet – Adopted! 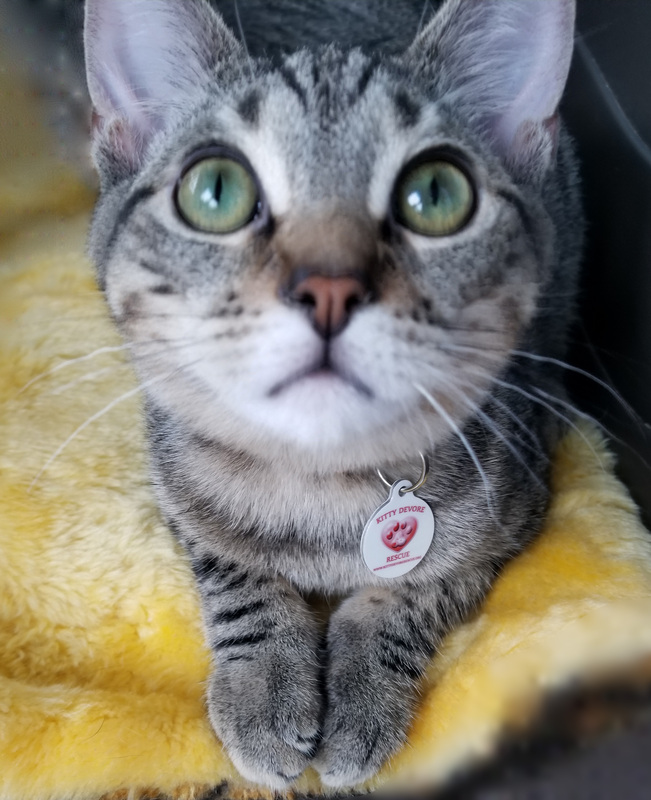 Although life started out precarious when Sherbet and his sister Pistachio were found when they were tiny bottle babies, these kittens were lucky – they were rescued by a Kitty Devore Rescue foster mom in June 2018 before they ever saw the inside of Devore Shelter. They’ve grown up safe, loved and well-cared for. Sherbet is a tangy little dollop of wonderful! 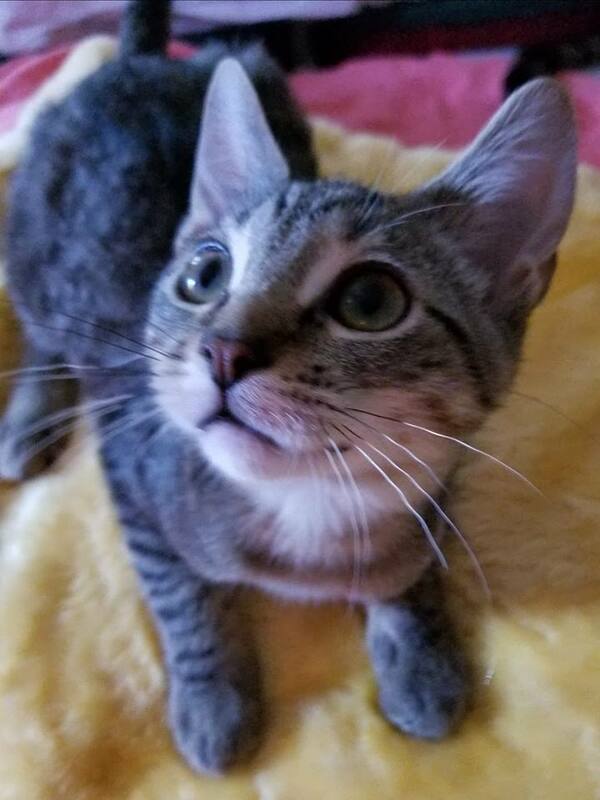 He’s an energetic and sprightly little guy who could spend the day chasing his toys… or, his sister and wrestling with her when he catches her! He’s fun-loving and exuberant, high spirited and always up for an adventure. The nice thing about high energy kittens is that they also need naps and when Sherbet naps, he naps hard. He’ll sleep near or on your pillow with you as you sleep but, beware! Sherbet is a hair chewer. 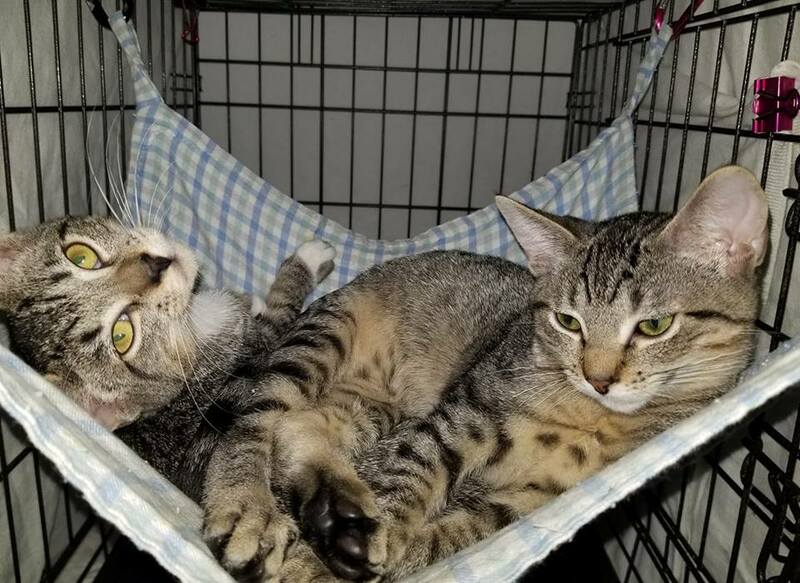 Pistachio and his sister love lounging in their kitty hammock as if every day is a lazy summer day. 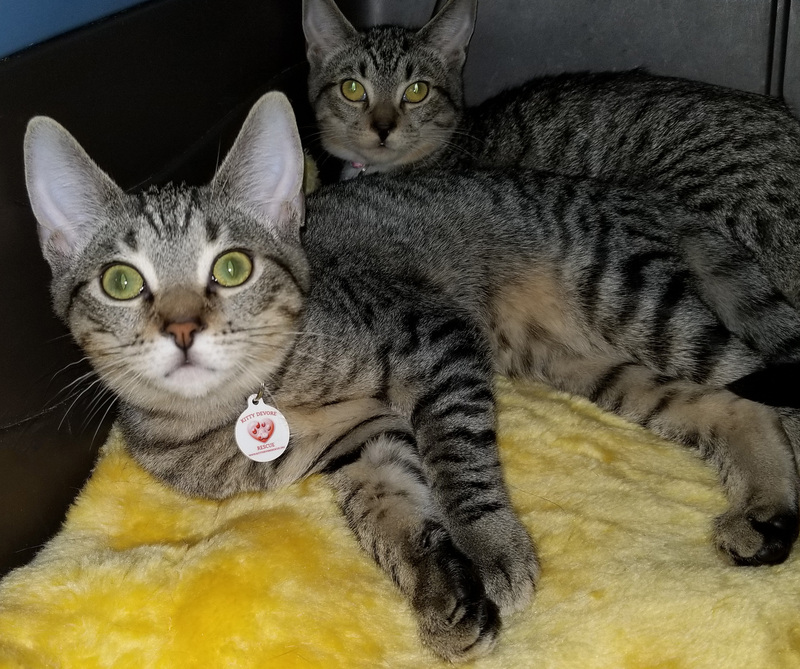 They’ve been best buddies from the start and while it would be wonderful if these two sweeties were adopted together, they can also be adopted separately into homes with other young kitties with similar energy levels. Sherbet has not spent time with dogs or children, but would probably do well with cat-friendly kids. No matter what, he definitely needs a high energy companion kitty to keep him occupied and out of trouble. 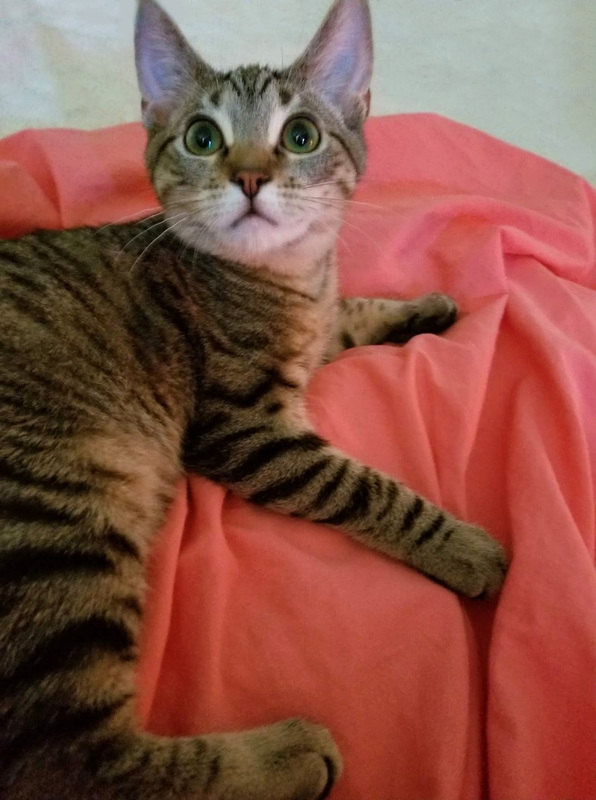 Sherbet was adopted March 19, 2019!